Dr. Anita Dhanrajani and associates reviewed charts of patients with Kawasaki disease (KD) from two Canadian centres to assess the impact of ASA dose on IVIG resistance (operationally defined as administration of a second dose of IVIG). Both centres used standard IVIG dosing, but centre 1 used low-dose ASA from diagnosis (3-5 mg/kg/day) while centre 2 used initial high-dose ASA (80-100 mg/kg/day). 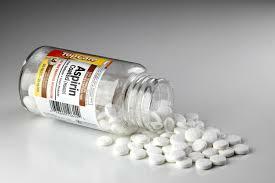 The researchers found that high dose of Aspirin decreased probability of IVIG re-treatment in Kawasaki disease. Kawasaki disease (KD) is an acute childhood vasculitis that may result in coronary aneurysms. Treatment of Kawasaki disease (KD) with a single infusion of 2g/kg intravenous immunoglobulin (IVIG) is well established, but acetyl-salicylic acid (ASA) dose remains controversial. In one hospital where low-dose acetylsalicylic acid (ASA; 3 to 5 mg/kg/day) was routinely used, 23% of patients were given a second infusion of IVIG, compared with 8.7% of those treated in another hospital where high-dose ASA (80 to 100 mg/kg/day) was used (P=0.003), according to Anita Dhanrajani, MBBS, of British Columbia Children’s Hospital in Vancouver, and colleagues. It was found that there were no significant differences in baseline characteristics between the two centres. Re-treatment with a second dose of IVIG was required in 28/122 (23%) patients treated with low-dose ASA, and in 11/127 (8.7%) patients treated with high-dose ASA (p=0.003). After adjusting for confounders, low-dose ASA was associated with higher odds of IVIG resistance (OR=3.2, 95% CI 1.1, 9.1). The mean duration of hospital stay was 4.1 and 4.7 days, respectively (p= 0.37). Coronary artery aneurysms were seen in 2/117 and 6/125 patients from centre 1 and 2, respectively (p= 0.28). The authors concluded that low-dose ASA was associated with 3 times higher odds of IVIG re-treatment compared to high-dose ASA, with no significant difference in duration of hospital stay or incidence of coronary artery aneurysms. The research findings were reported online in Arthritis Care & Research. Source Reference: Dhanrajani A, et al “Aspirin dose in Kawasaki disease — the ongoing battle” Arthritis Care Res 2017; DOI:10.1002/acr.23504.